-Cotton is breathable and wicks away moisture. Lycra adds a stretchiness to cotton, making a cotton-lycra blend a good choice for leggings. -Solid, bright colours work with a matching patterns for a cheerful, eclectic look. 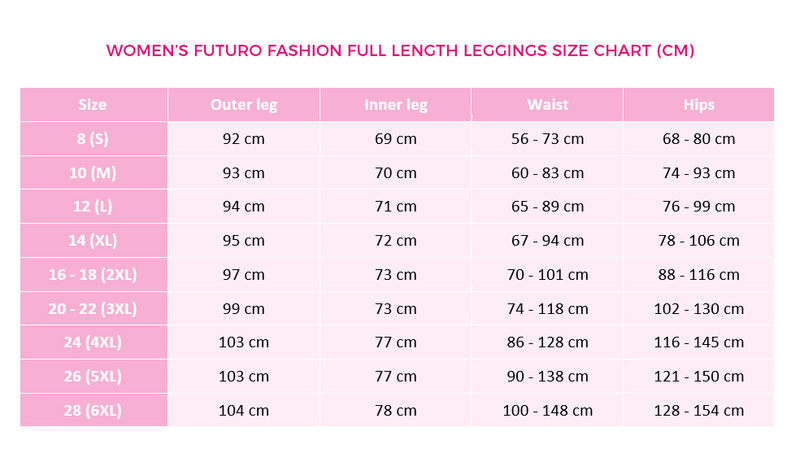 Futuro Fashion makes bright, seasonal leggings in many different colours. -You can wear ankle leggings with a long top, although some women wear them under light flowing skirts. When worn with high-heels, ankle leggings enhance long legs.